From communal flats to commercial office landscaping and houses we can keep all your garden spaces tidy, trim and looking their best. Communal gardens and office landscaping are necessarily simple spaces that rarely need the attention of specialist landscapers or gardeners, so as an extension of our other cleaning services we also provide basic gardening services to keep communal and commercial gardens looking tidy and healthy. 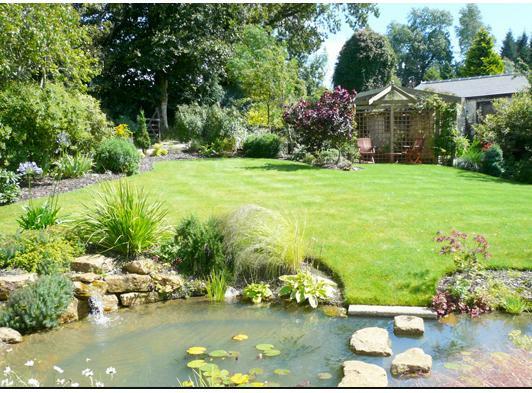 We work across the East of England and the UK for property managers, local authorities and private landlords to provide a no fuss service that is just what your garden needs. Regular mowing makes for a healthy lawn, preventing tufting, hiding weeds, encouraging fresh growth and stopping the grass from growing excessively long which looks unsightly and can quickly create dead patches, huge weeds and hard to break down tufts. We can provide mowing as regularly as you require included with our other garden services for a complete maintenance package. Leaves and other debris build up quickly in almost any green space especially through the Autumn months; these can cover grass causing it to die, and enough heavy rain will quickly turn golden brown leaves to piles of mucky mush. We can make sure there’s never any build up of leaves or other debris so your garden space always looks tidy and well maintained. Even when kept clear of leaf debris pathways, patio areas and wooden decking inevitably pick up dirt over time which can mute colours and create an old, unkempt look. We keep them clean with regular basic maintenance and periodic pressure washes using mild cleaning agents and hoses to loosen old dirt and get surfaces looking fresh, new and clean. Sheraton Services provide basic gardening maintenance as part of our range of cleaning services. Employing experienced cleaners, overseen and managed by highly experienced supervisors, we guarantee reliable, consistent and quality customer service and workmanship on all your cleaning needs.